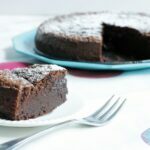 Soft and rich, this magic 2-Ingredient Nutella cake is the easiest and most delicious chocolate cake you can possibly make, and it also happens to be gluten-free! 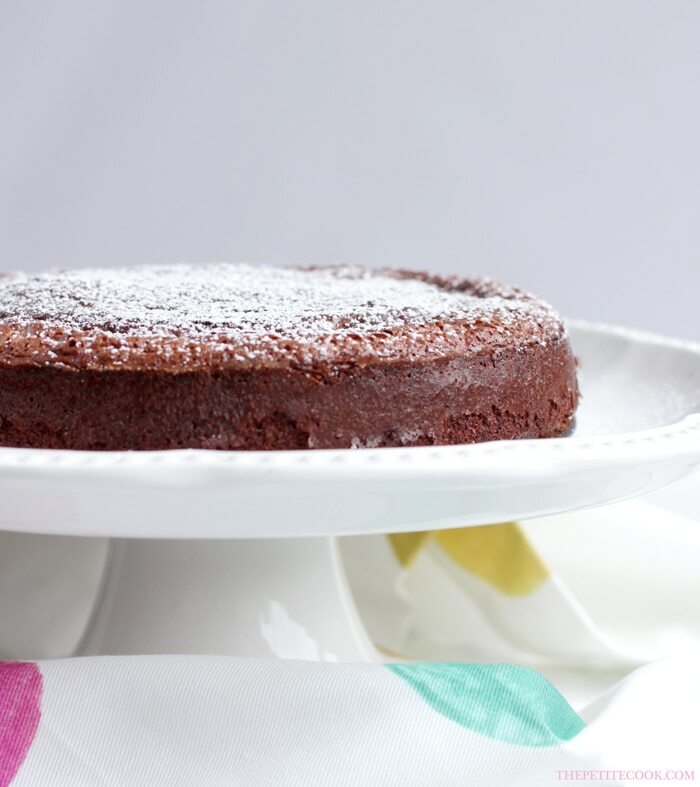 Whether you’re chocolate spread lover or just an occasional fan, this 2-ingredient Nutella cake is an absolute must-try. This cake comes together in less than 30 mins, it’s totally fool-proof, and it also happens to be gluten-free. The best part is, this recipe requires only 2 simple ingredients: free-range eggs and your favorite chocolate hazelnut spread. I ALWAYS use my homemade nutella when making this cake. It’s gooey, rich, and comes together in a blink. Bst of all you know exactly what ingredients go in. But if you’re in a rush feel free to substitute with the same amount of your favorite chocolate hazelnut spread. This super easy cake is perfect for amateur bakers, or to make with the kids. The recipe couldn’t be simpler and involves just few simple steps. Add a pinch of magic and the job is done! 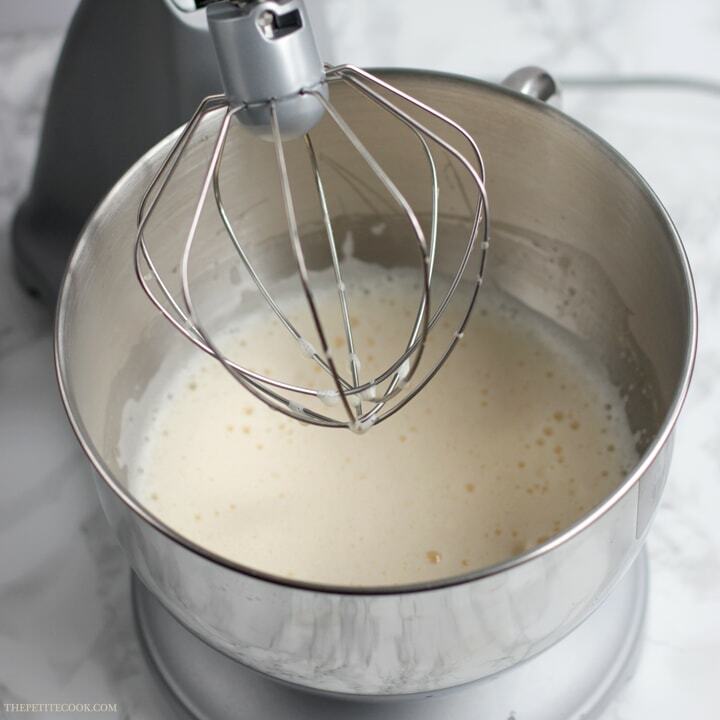 Start by whisking the eggs on medium-high speed until pale and airy, and tripled in volume. In the meantime, pour your chocolate hazelnut spread in a large heatproof bowl and microwave for 30 sec, just to warm it up a bit. 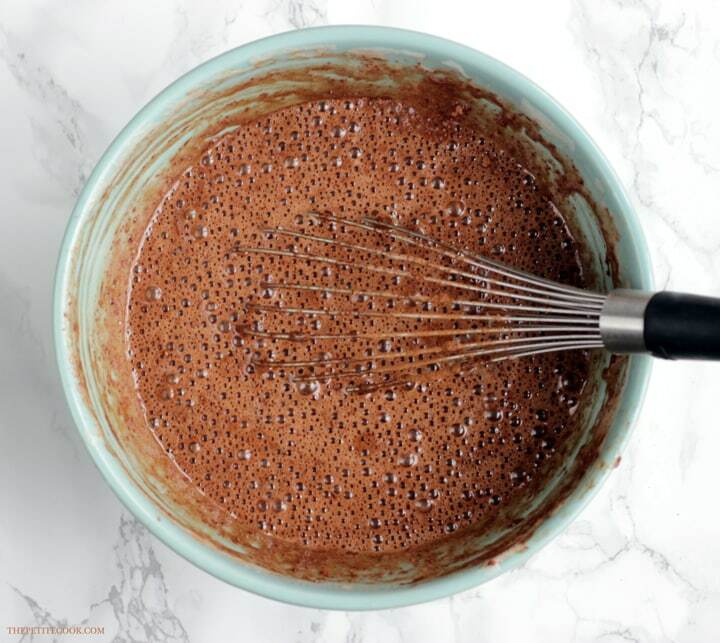 Incorporate 1/3 whisked eggs into the bowl with the chocolate spread, and gently mix until well combined. Fold in another 1/3 of eggs, then repeat with remaining 1/3 eggs. Then all you have to do is pour the cake mixture into a 8-inch cake pan and bake for about 20-25 mins at 175°C/340°F. I like it slightly gooey in the center, so I usually bake my Nutella cake for 22 mins, then leave it to cool above the stove covered with a kitchen cloth. If you like it a little more firm and cakey, just bake it for a further 5 mins. 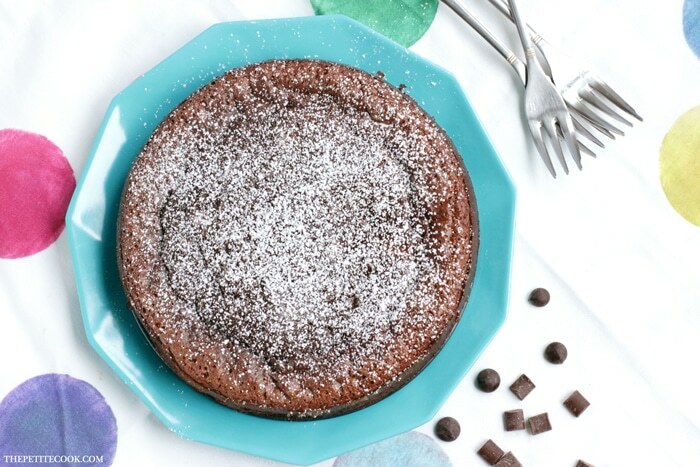 Soft and rich, this magic 2-Ingredient Nutella cake is what chocolate dreams are made of. I really hope you give it a try!